two goldfish down, one to go! 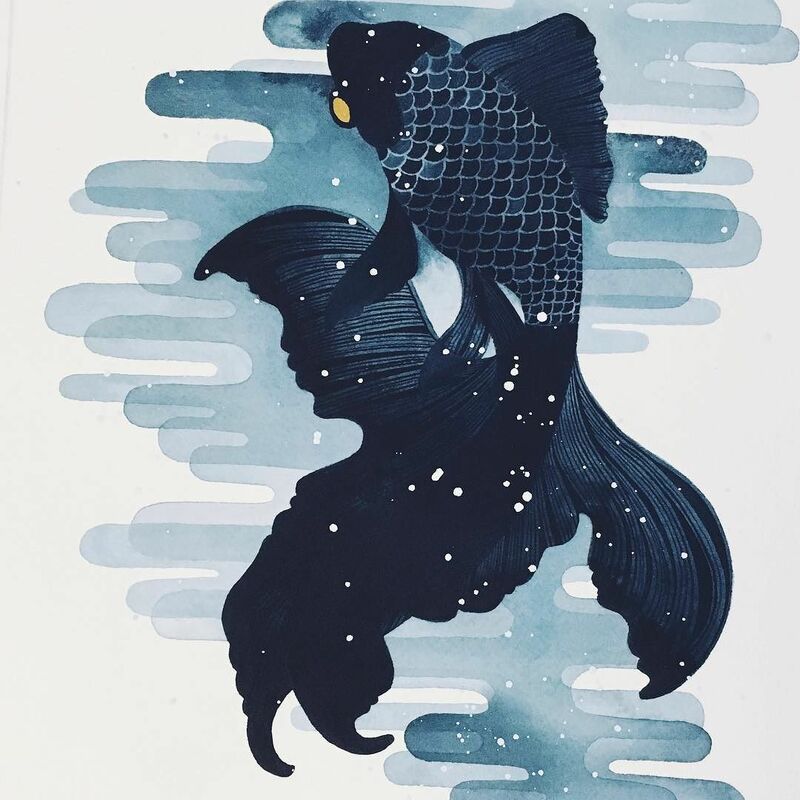 This one ended up being a bit of a tribute to my dearly departed fish, Sirius. He was a Black Moor goldfish just like this (although he started to get a little orange in his old age). He lived for nearly a decade, and was a good ten inches long from the tip of his nose to the end of his long, flowing tail. He was a jerk who didn’t tolerate company in his tank very well, but we all want alone time sometimes, right? He just wanted alone time all the time. I got him the summer before high school, he came with me to college, and he spent his final days back at my parents’ house with a girlfriend fish he deemed acceptable. He was a helluva fish.